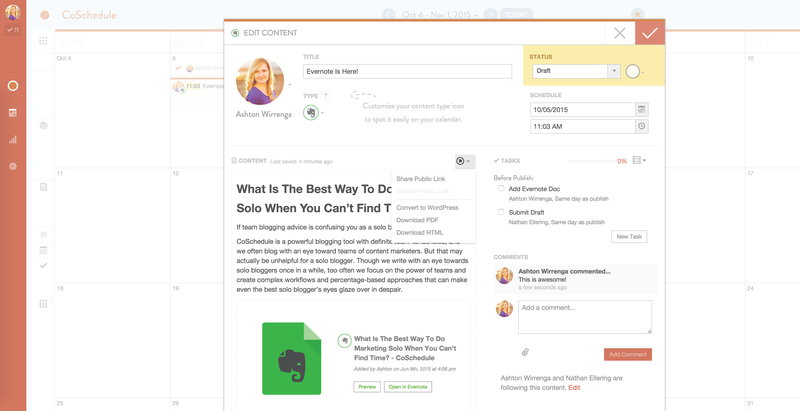 Do you use Evernote to manage your marketing? 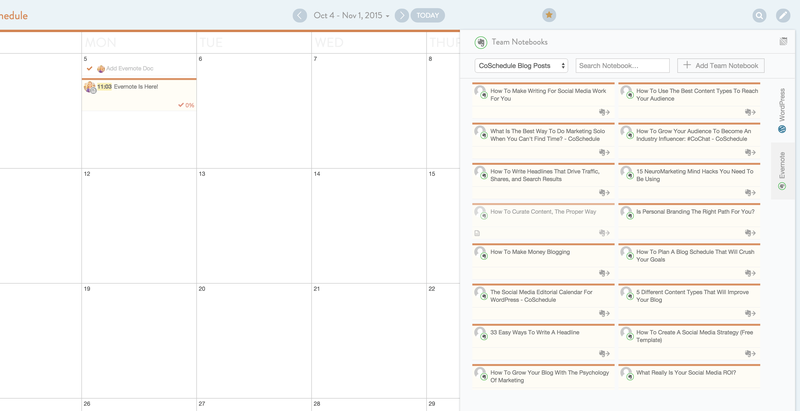 Evernote, combined with your CoSchedule marketing calendar, can turn your notes into real content. Turn your blog and content ideas from Evernote into real blog posts in WordPress. We’ll import your images and everything. Help your team create white papers, videos, graphics, and all types of content super efficiently with clear workflows, deadlines, and publish dates. Organize all of the content you create in Evernote on a marketing calendar that integrates with your marketing tools like Bit.ly, Google Calendar, Google Analytics, Google Docs, Buffer, and your social networks. 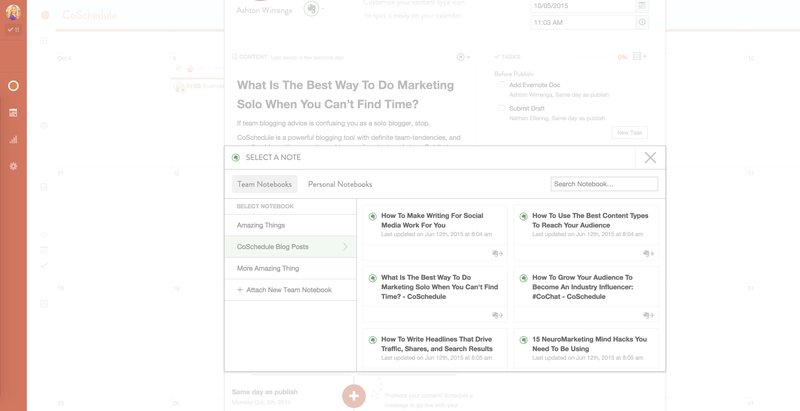 Those are just a few ways to use CoSchedule with Evernote. And when you dive in, you’ll discover ways to tailor your marketing calendar just for your business. All of that makes planning, creating, publishing, and sharing your marketing content super easy.